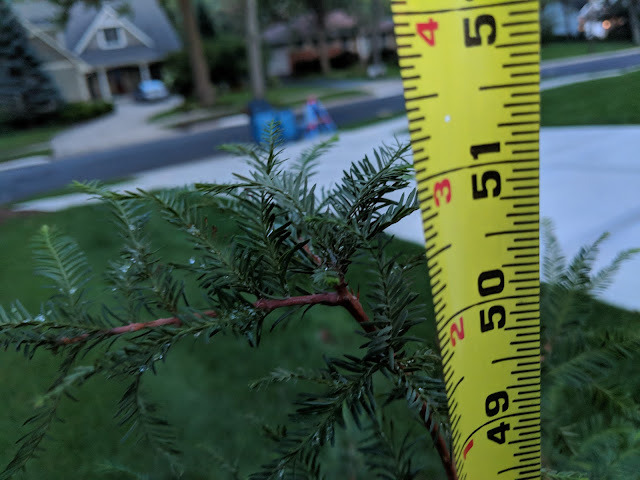 In June of this Summer, I posted a series of photos that attempted to document the full tree height in our inventory on Hornbeam Hill. 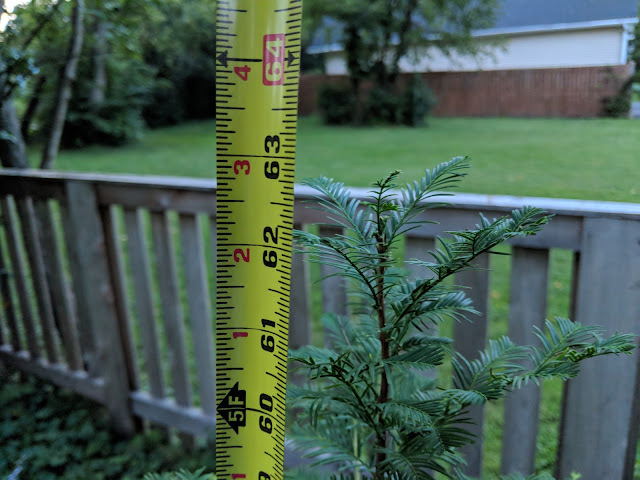 I didn't get every tree, but I was able to put a height (approximate) on most of the new trees and that post was meant to serve as a reference post for documenting some of the trees as they grow. But, there are at least two trees that went in *after* that post was shared that I wanted to document. First up is the replacement Dawn Redwood. That's the photo on top. You can see the height of the tree (currently) is just shy of 63" tall. Below is the newly planted Bald Cypress in the front yard by the driveway. That one is currently 51" tall. I'll be going back to these trees (if they make it over the Winter) next year and hope to see some 'creep' going on as they shoot upwards.